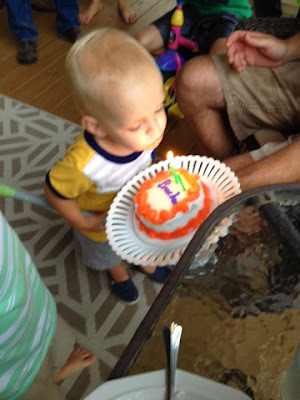 honey bunches of lotz: Brecken is two!! Today is Brecken's second birthday, but since we already celebrated with cake and candles we are just hanging out and having fun all day. We haven't done this in a while so I think he'll enjoy it. 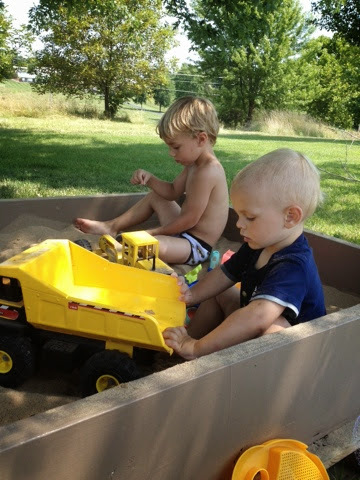 Brad built and painted a sandbox for the boys on Saturday, so they are enjoying some peace in the shade of a big maple tree in the front yard. This sandbox might be life-changing. Very few fights so far, and I can watch them from the living room if I want to get housework done--which I'm not doing yet today because it's too nice outside and I can blog on my phone in the shade. PawPaw brought some Tonka trucks. Every boy's dream come true! 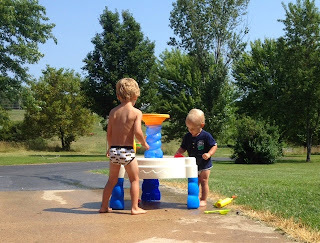 We got Brecken a little water table for his birthday, and I'm thinking it's going to see a lot of action this summer, too, particularly now that it's actually beginning to feel like summer. This has been a quick update on life with the Lotz fam. Now I'm off for some more fun. I'll leave you with this. It may just be my favorite Brecken picture of all time. 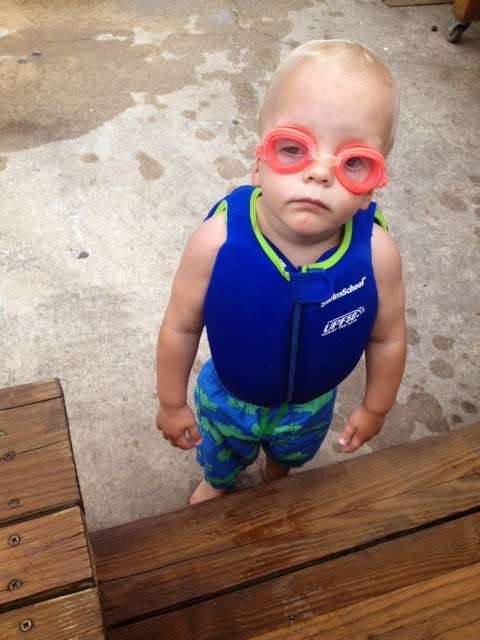 He begged to have those goggles on, then gave us this level of excitement after he got them. A perfect depiction of his little personality. Happy birthday, little Brekkie. You sure know how to keep us laughing and on our toes!